What opportunities do you see for yourself here? Awhile back, the Harvard Business Review published some great questions that Gilt Groupe CEO Kevin Ryan asks when he is checking references. Ryan serves on the board of Yale Corporation, Human Rights Watch, and INSEAD, and is a member of the Council on Foreign Relations. He holds a B.A. from Yale University and a M.B.A from INSEAD. Would you hire this person again? If so, why and in what capacity? If not, why not? How would you describe the candidate’s ability to innovate, manage, lead, deal with ambiguity, get things done and influence others? What were some of the best things this person accomplished? What could he or she have done better? In what type of culture, environment, and role can you see this person excelling? In what type of role is he or she unlikely to be successful? Would you describe the candidate as a leader, a strategist, an executor, a collaborator, a thinker, or something else? Can you give me some examples to support your description? Do people enjoy working with the candidate, and would former coworkers want to work with him or her again? In what areas does the candidate need to improve? Despite the temptation to hire someone like yourself, hire someone to complement your skills –not to duplicate your skills. Managers often find it easier, more comfortable, or less threatening to hire someone with similar skills and work habits. But, to build a well-balanced team and to achieve maximum success, you need to have employees who can fill in your weaker areas. So, if you are a great idea person, but a poor communicator, hire someone with strong communications skills. Similarly, if your team excels in sales but lacks organization, add an employee who leads in organization. This may all seem like common sense. And you obviously need to hire someone to meet certain/minimum skill sets and who will be a good overall fit. But, do what you can to avoid the trap or temptation to hire someone just like you. Identify your star employees and use their characteristics as a guideline for your next hires. Hire people for their potential. 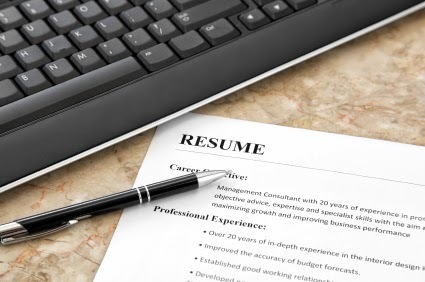 Don’t focus so much on resumes. Otherwise, you may get someone who fulfills your current requirements but isn’t able to meet your company’s future needs. Go for quality. Hire fewer employees but of a higher caliber. Carefully define the role. Be specific about what you need. And, finally, consider interviewing them in a group setting where you invite a variety of your employees to be part of the group. If you do this, be sure to let each employee voice their “vote” regarding the candidate after the meeting. There are lots more great tips like this one in Thompson’s and Tracy’s book, Now…Build a Great Business! Older displaced leaders seeking work have a new online resource to help connect them with businesses with a special interest in workers with long experience. AARP launched a new website in July called, Work Reimagined. The site is powered by LinkedIn, the career-oriented social media site. Work Reimagined is the first talent exchange dedicated to helping companies find experienced workers and to helping experienced professionals connect to more satisfying careers. For businesses hiring, Work Reimagined helps them target the most appropriate, experienced workers. For people looking for work, the site lets you access unique, personalized job leads from employers who respect depth of knowledge and experience. The site also is a place to share experiences, challenges and dreams for the future via groups and discussions on LinkedIn. Hire and promote first on the basis of integrity; second, motivation; third, capacity; fourth, understanding; fifth, knowledge; and last and least, experience. She concludes that experience is easy to provide and quickly put to use by people with all the other qualities. Amacom (of the American Management Association) has just released the sixth edition of the best-selling book, The First-Time Manager — originally published in 1981.